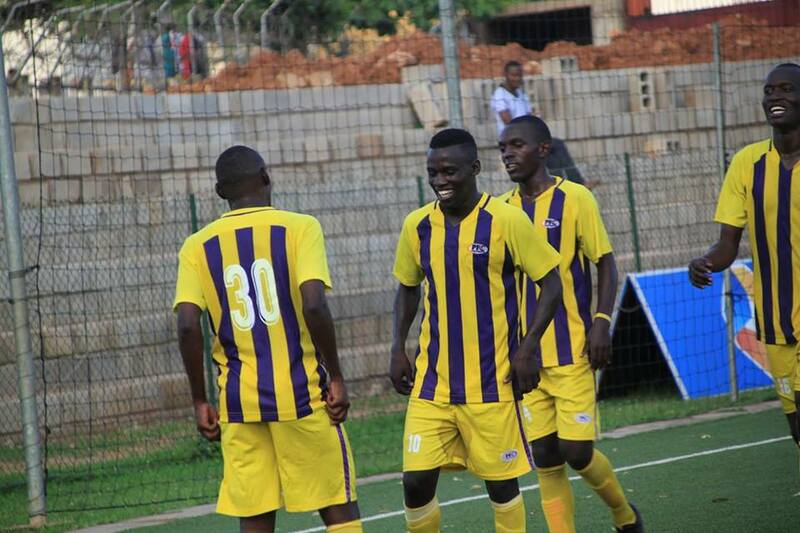 LUGOGO – Proline Football Club continued their impressive start to life in the Big League with a comfortable 5-1 victory over Dove FC at the StarTimes Stadium on Thursday. In one of the four Rwenzori Group games lined up for the day, goals from Mustafa Mujuzi, James Begesa, Ivan Bogere and Bright Anukani’s brace were enough to complete the rout over the League debutantes whose only strike was through Robert Baluku. Proline dominated the early exchanges but had to wait until the 32nd minute to find a break through when Kobs’ Captain Mujjuzi scored from close range. Despite the dominance, Shafick Bisaso’s side went into half time leading by only a goal to nil. A minute into the second half, Begesa made it 2-0 from the spot after Joseph Mandela was brought was brought down in the area. Moments later, Bogere diverted substitute Isma Kambugu’s stray shot for the third before a brace from Bright Anukani signed off a memorable victory for the home side. The visitors who are coached by Mark Twinamatisko pulled a goal back through Robert Baluku in the closing stages of the match. The victory means that Proline have now won two and drawn the other of their first three games of the season. Elsewhere, at the Kabale Municipal Stadium, Kabale Sharp and Kiboga Young played to a goal-less draw. Kitara thumped Bumate United 4-1 at the Kigaya Ground in Hoima. The Kireka United – Kira United match that was supposed to be played at the Mandela National Stadium was postponed to Monday, 3rd December 2018. In the other group (Elgon), Allan Kabonge’s Entebbe F.C was held to a one all draw by Doves All Stars at the Mutesa II Wankulukuku Stadium. Kyetume out-muscled Bukedea Town Council 3-1 at the Mukono Bishops playground while Nebbi Central and Amuka Bright Stars shared the spoils in a one all draw at the Nebbi playground. For Kataka and UPDF, they played to a goalless draw at the CRO Stadium, Mbale. Debutants Light SSS continued their impressive start in the second tier by registering another win,beating visiting Jinja Municipal Council (JMC) Hippos 2-0 at the Amuria High School playground. The league will return on Monday, 3rd December 2018 with one game as Kireka United hosts Kira at Namboole.